Teddy Bear Day Care Centers opened in 1973, and continue to serve Chicagoland with top-quality care for children from infancy, to preschool, to preteen. Each year our centers provide over 500 children with full-day supervision, before and after school care, infant and toddler care, and summer day camp fun. Teddy Bear offers year-round care for children from ages 6 weeks to 12 years and our summer Big Bear Day Camp program provides day camp fun and excitement for kids aged 6 to 12 years. We provide daily nutritious meals for your child including breakfast, hot lunches and healthy snacks. We have indoor and private outdoor play areas and children also participate in fun and educational supervised field trips. 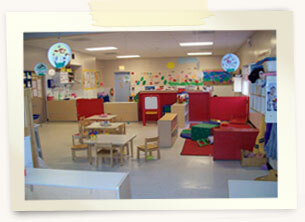 Teddy Bear Day Care Centers are fully licensed and provide affordable dedicated, high quality childcare. We are proud members of the PSO-Illinois’ Child Care Association, ensuring the quality of our facility and caregivers. Our Pre-K and Kindergarten programs are accredited by the state of Illinois and we are partnered with Head Start. Contact us today to arrange a tour of our award-winning educational and computer-ready facilities and sit down with us to discuss how we can best serve the needs of your child and help them get a great start on their future! COME WORK FOR US! We need Teachers, Infant & Toddler Specialists and Maintenance Workers! NOW HIRING! Inquire Here!